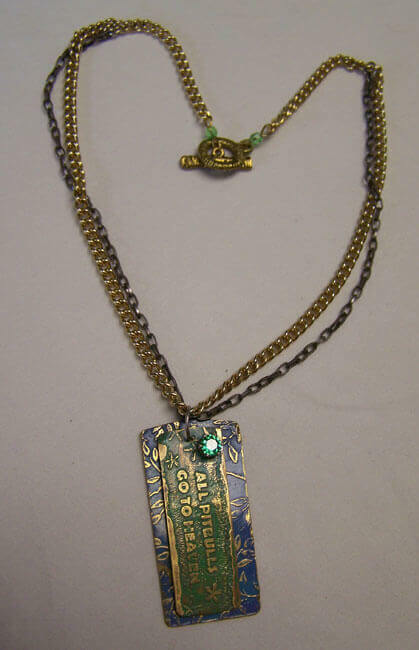 A handcrafted etched metal necklace in pure brass, with a green cubic zirconia in a sterling setting. The mixed chain is 18" long, and fastens with a toggle clasp. The back is signed with the artist's hallmark and dated "2012." The metal is finished with Renaissance Wax to preserve the patina and luster. 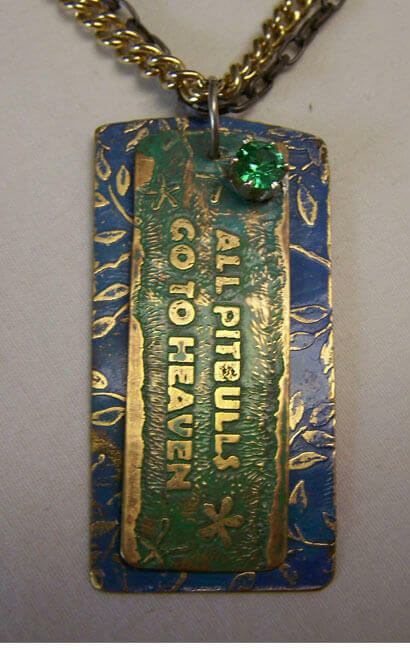 Designed for a proud Pit Bull companion.